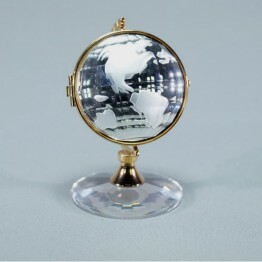 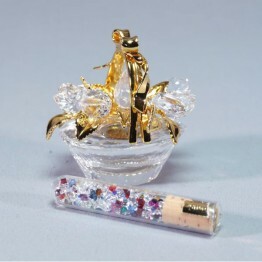 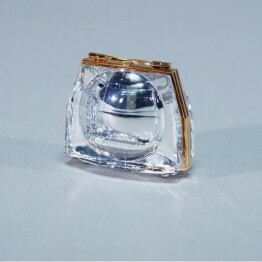 This flacon is made of clear crystal and is finished with gold-colored metal. 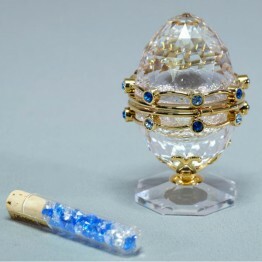 The egg is decorated with small blue crystals. 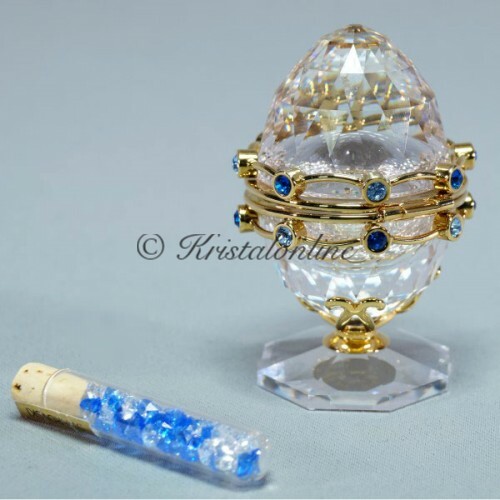 The base of the egg is equipped with a magnet to put the egg in a solid position. 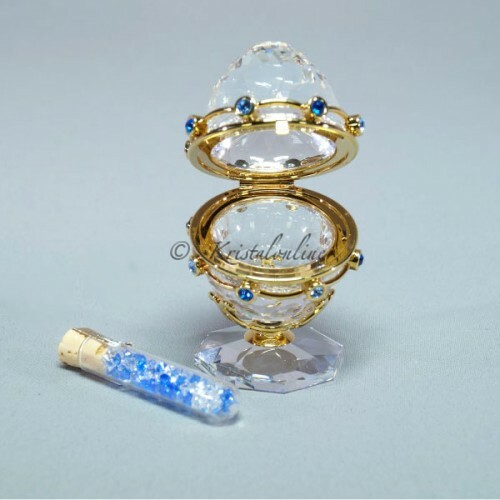 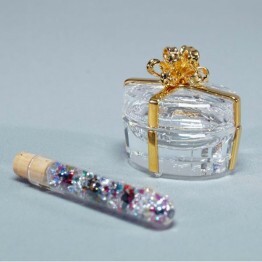 Comes with small blue and clear crystals to fill the flacon.